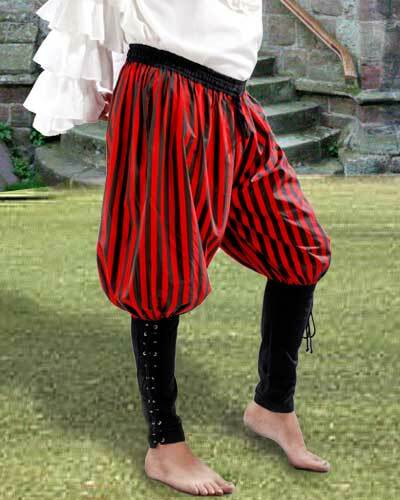 These buccaneer pants are 100% cotton, made in a style that was popular when pirates ruled the seven seas. An elastic waist and loose fit to the knee gives way to form-fitting cuffs that lace from knee to ankle, for a great fit and easy on and off. 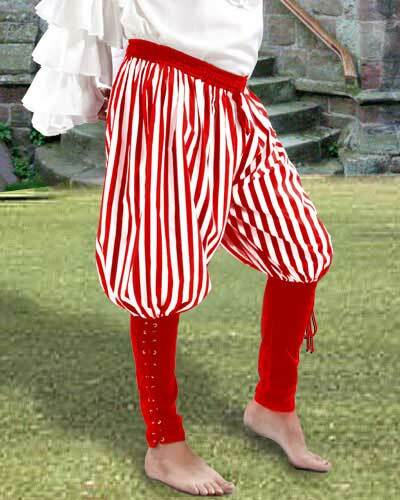 Choose from black and white, red and white or black and red stripes, in sizes to XXL. To order, first choose your size and color from the dropdown lists, then click "Add to Cart".